At Sanden International (U.S.A.), Inc., our business today is building automotive air conditioning compressors. Our goal is to be the best at what we do, and to build the best products for our customers. Products that soon will include mobile HVAC systems and related components. Throughout our organization, the people of Sanden have the vision, the commitment, and the dedication to meet this goal. We are skilled, motivated, and focused. We are also equipped with the latest technical advances. Sanden is at the forefront of the industry in the areas of computer-aided product design, comprehensive testing, and precision manufacturing, all to assure the best products for our customers. Our North American headquarters is a showcase of state-of-the-art technology and innovation. But at Sanden we never rest on past accomplishments; we strive for continuous improvement. We focus firmly on the future, anticipating our customers' needs and developing revolutionary product solutions to meet those needs. 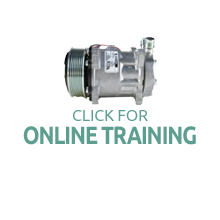 As a result, Sanden has become the world's largest air conditioning compressor manufacturer not owned or controlled by an automobile manufacturer. We supply components to the most demanding and respected companies throughout North and South America and around the globe. Since the opening of our first facility in Texas, in 1974, Sanden International (U.S.A.) has grown to include additiona l operations in Detroit, Mexico , and Wylie, Texas. With this significant investment, and more to come, Sanden is positioned for long-term service to our customers throughout North and South America. 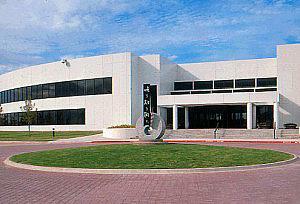 Sanden's compressor manufacturing operations take place at our headquarters in Wylie, Texas (just northeast of Dallas). Clutch components are manufactured at our Sanden Mexican a plant in Saltillo , Mexico. Sanden also has other manufacturing plants around the globe with additional capabilities. Our manufacturing facilities are a textbook example of state-of-the art processes, making the most of the abilities of both man and machine. As high-grade castings are machined to precise tolerances , every dimension is checked and rechecked. Each step of assembly is performed under rigorous quality-control standards. Our conscientious staff and modern quality methods ensure excellent out-the-door conformance. A superior product begins with a superbly engineered design. Engineers in our Detroit and Wylie technical centers use the latest technology available to design and evaluate products. Following 3-D, CAD modeling, or solid modeling, and prototype construction, Sanden performs validation and extensive laboratory and field testing on all products. Our environmentally controlled chambers and wind tunnels can simulate conditions of almost any temperature , humidity, and vehicle speed. (The Wylie chamber is large enough to accept a Class 8 truck or large unit of agricultural equipment.) In addition, computer-controlled vibration "shaker tables" can precisely replicate a variety of road conditions. Noise-Vibration-Harshness (NVH) tests are performed on compressors alone and on vehicle applications. With every new vehicle design, environmental concern, and regulation, our customers' needs change. We continually project those needs and work toward effective, innovative solutions. For example, Sanden pioneered the development of high-efficiency compressors for electric vehicles, long before production of the first generation of OEM electric cars and trucks.